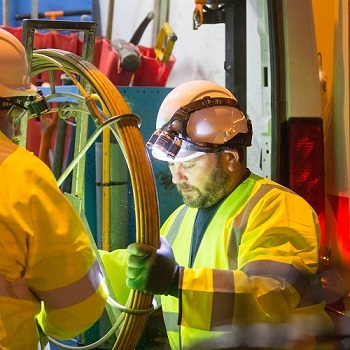 Our fibre and network delivery team build network right across the UK – under roads in busy city streets, across running waters in Welsh valleys and over mountains in the Scottish highlands – they’re everywhere. The team of around 10,500 people are fuelled by almost 250,000 years’ experience in delivering for customers. 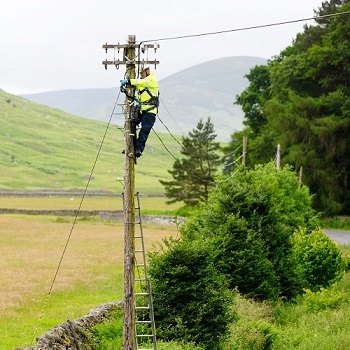 We want to create a legacy that sets our country’s digital economy up for years to come by increasing our FTTP network to ten million premises by the mid-2020s – and truly drive Britain’s digital revolution. There are around 1,500 people in our headquarters. They include the executive management team, strategy, finance, legal, regulatory affairs, human resources, corporate affairs, customer, commercial and propositions as well as our chief engineer and chief technology and information officer. These four units are currently part of Openreach trading through British Telecommunications plc, registered office 81 Newgate Street, London EC1A 7AJ, registered in England and Wales No. 1800000.